← Everyone Loves a Parade!! It is time to register to be on Team Decatur for the September KP Corporate Run/Walk 5K! Last year we had over 200 people on our team and we are going for 250 or more in 2015. This year the event will be held in downtown Atlanta on Thursday, September 24 and the run/walk begins at 6:30 pm. Team Decatur will have a tent at the event with beverages and food for after the race. FREE T-shirt! 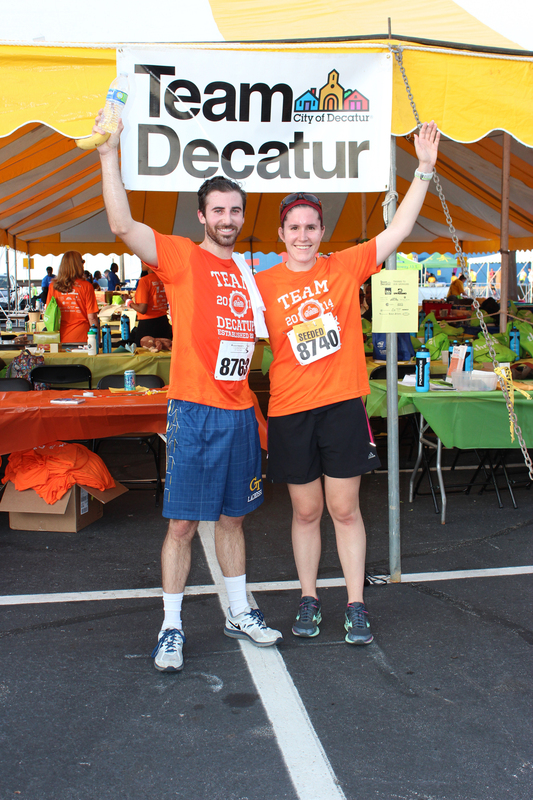 Everyone who registers by September 1st will receive a “coveted” Team Decatur t-shirt from the city. Be sure to give your size in the special questions during registration. This shirt is in addition to the KP race shirt you receive at the event. Mark your calendar for the Get Fit Team Decatur Kick-off and Health Expo on July 14 at 5:30pm at the Decatur Recreation Center. More information to come. In order to qualify as a Team Decatur Grand Slam Champion you must participate in the KP Corporate Run/Walk in September. No exceptions. Search the list of Corporate Teams for Team Decatur. Then click JOIN. This takes you to the registration page for our team. You DO NOT have to be an employee of the city to register. Everyone is welcome. Questions? Contact Cheryl.Burnette@decaturga.com or 678-553-6541. Visit us on Facebook!